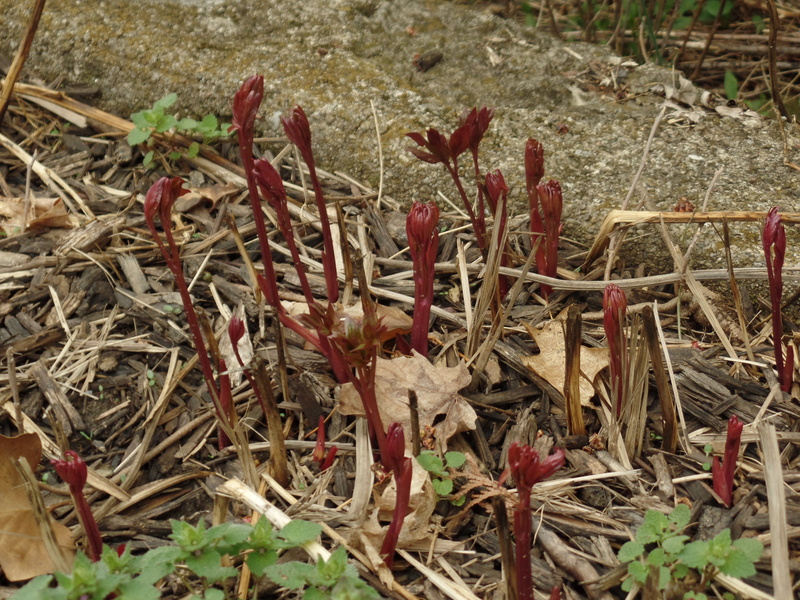 These beautiful red sprouts are the beginnings of some beautiful peony bushes. Every Fall they are cut completely down. Every Spring they come up again. By Memorial Day they will be in full bloom. It is a natural cycle. While nature is not always predictable, there are some things we can count on. The seasons turn, the weather clears up, the plants and flowers grow. Our own growth is very similar. We start out as babies, turn into children, then we become adults. We can count on that. It is what we do with our seasons that can make our lives joyful and loving. With plants we can add water and nutrients for better growth. With ourselves we can add lots of loving self-care; good food, healthy movement, deep meditation for better growth. Adding self-love to our lives will help us bloom into the naturally beautiful beings that we are. Abundance ~ How to Create and Sustain a Meaningful life: Coming soon! My peonies look right the same at the moment. I feel like them when I watch nature… feeling like new born.